While they had been available for long all discussions had been spreaded among many topics, it is time to make some order. Light, sturdy. Manufactured up to best standards. Well though design. 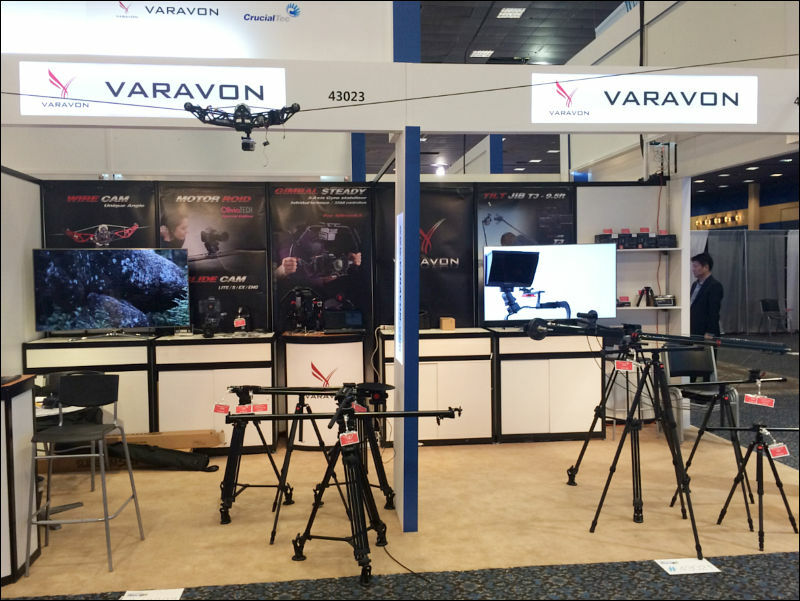 The Varavon lite sliders are amazing. Great build quality and super portable. Resistance can be adjusted but with some long nosed pliers and a bit of unscrewing. Havent tried that yet. the red lock unlock screw is simply to lock the slider down .. not to adjust drag. Great product and the shipping is pretty fast. Just wished I had got it from here on the deal. I bought the Lite 600 version 5-6 months ago though the deal topics and I'm satisfied with the deal. Cheapest best quality at the time. Since then there have been some other contenders in price with what looks similar quality, but couldn't tell you for sure. It also came with expedited shipping option for $10 at the time, and I've never gotten anything faster from asia. Ordered it on Friday and by next Thursday it arrived. Only complaints are the screw doesn't have a knob to thread like the higher models do, so you'll need some kind of ball joint mount and you need to make sure the ball mount is high because if you use it like a dolly instead of a slider you'll be able to see the slider in the shot as you're pushing forward if you use a 14mm or wider lens. Also it doesn't come with the needle nose pliers, like in the video, to adjust the tension, but I made do with a large pliers and the allen wrenches it came with. Also the screw is 3/8" and at the time I only had 1/4" tripods and connectors. 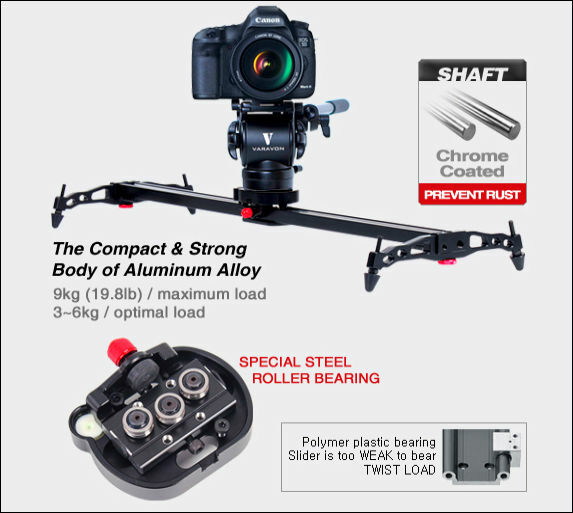 So if this would be your first slider and/or first piece of higher equipment, keep that in mind. Don't be put off by the 600 being only 24 inches. You'd be surprised how long a shot that can get you, and if you're on a budget, it's more than enough to get some nice shots. Used the lite 600 for two paid jobs now and very impressed with the results. 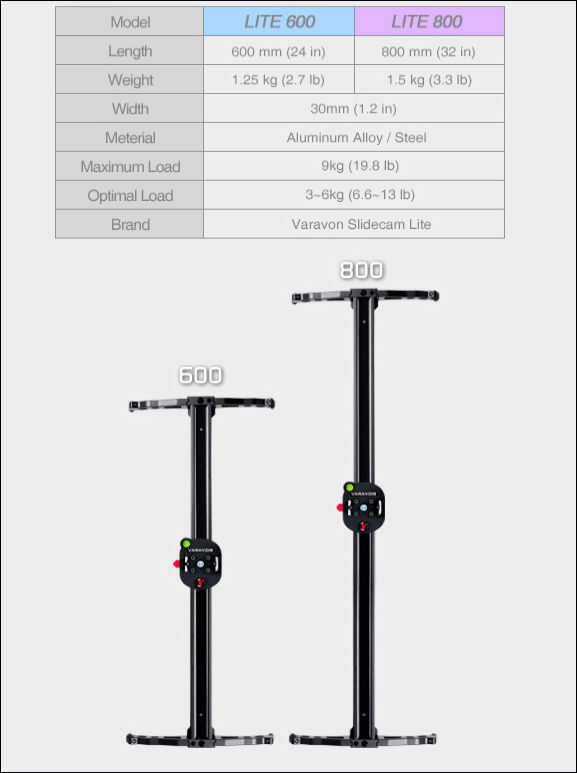 The unit comes in a very high quality bag and everything you need to get it set up and mounted to a tripod if needed. Shots are smooth and we have been able to achieve professional looking shots within a few minutes of use, having no sliding experience before. Would highly recommend to anyone looking to get into the use of a slider for their work. Check adjustment video on top, and other videos in their account. Like Vitaliy said....it just needs a simple adjustment. Overall, I'm satisfied with mine. It has one almost rough spot I'm hoping works itself out. The motoroid works beautifully with it. Really simple fix. Thanks guys. Does it require this from time to time or did I do something wrong? Most probably one of the bearings was not fixed tigh enough, so shifted with time. I'm having the same issue with my slider - the carriage rocks forward and back. I took it apart and tightened it per the video, but didn't fix the issue. Anyone have any other recommends? @vicharris said he was able to fix his after a few hours of fiddling. mine did that and I took it apart and tightened as per video. Problem solved. Did tightening it make it any better? Just wanted to thank Varavon for helping me fix the Lite 800. I was lucky to have one of their L.A. employees come to my office and fix the unit. I wouldn't expect this to be normal operating procedure, so I'm just very thankful and wanted everyone to know that they took the time to do this for me. Any good experience with Slider DollyIs? I can decide between this one and Lite 600. Is there a easy way (1/4 tread) on the middle to mounted any of them on one tripod plate or dies it need extra accessory? 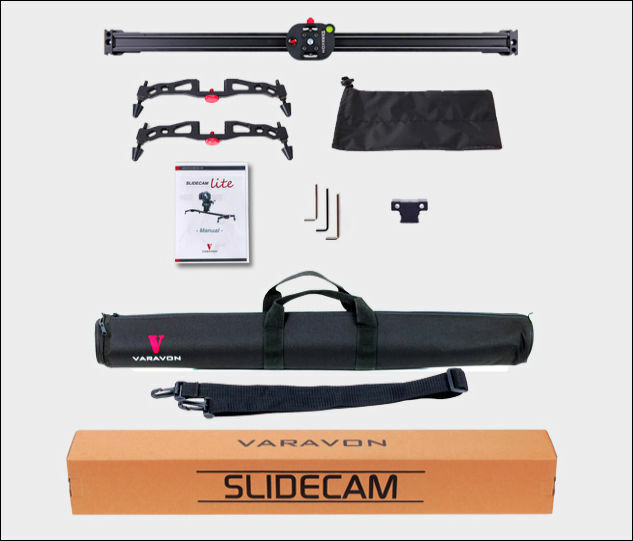 I have a long video review on the varavon ex slide cam with motor for my BMCC. Look for it in a couple of days. Not exactly sure what you're asking there. Are you asking if there's 1/4 20 threads on the bottom? If so, yes. Many. As well as 3/8. I have the S900 I think with the motor option and it works well. Only real complaint is you can't record dialogue while using the motor if you within 15ft or so but you can just slide it by hand and get good enough movement if you need it during a scene with actors talking. I want to mount it on one tripod small version - 60, with wheels would be best but there is no such option. Ive seen on same video there is base/plate underneath but usually is not there as everyone use it on the table :) I was wander if you can mounted on the middle without extra yokes. Si if there are holes underneath on flat surface - thats perfect, thanks Motorize one i have long heavy Diy 120cm - for time-lapse mostly and two tripods definitely. You can see many their tripods mounted as you like. Of course it has mount point at the middle.